The National Institute of Building Sciences (NIBS) defines a commercial plaza deck as a cost-efficient, eco-friendly roofing layer. It provides pleasant areas for pedestrians to walk or vehicles to drive. There are various ways to design plaza decks. It starts with the fundamentals of roofing and waterproofing. From there, custom detailing is a major part of the process. Waterproofing warranties last 10-20 years and in some cases longer. Some waterproofing systems can last a lifetime if installed properly. You should still have your roof inspected annually to detect any issues which might hinder the product’s durability. Plaza deck waterproofing requires a combination of processes. It includes installing insulation, planting trees, and laying porcelain or ceramic tile. Our team members will test the soil, pave walkways, and install AstroTurf. You want waterproofing layers protected from extreme temperatures, water, and sunlight. The top layer must be well sealed so moisture doesn’t penetrate deeper layers. A certified roofer has earned industry credentials from being well trained. They use the proper tools and following manufacturer specifications to maintain warranty requirements. Professional roofers are properly licensed and insured. They understand their job is to get the work done right the first time. They do this while developing long-term relationships and meeting government compliance. Plaza decks present unique challenges which should be left only to seasoned professionals. These challenges include draining surface water, creating waterproofing layers, and laying concrete split slabs correctly. The installation of these materials requires precision. 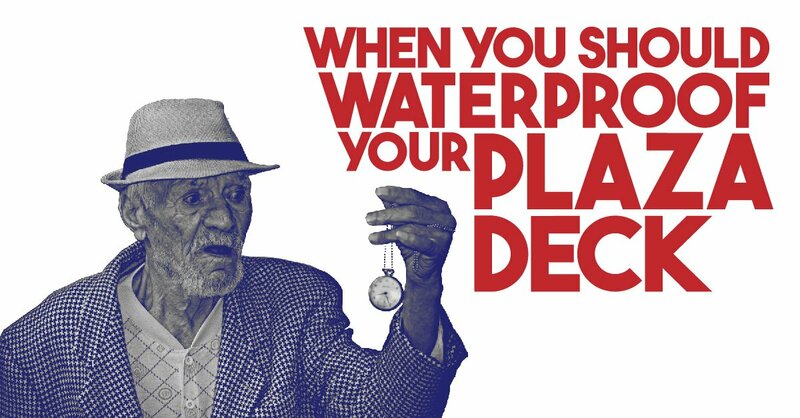 We have years of experience developing long-lasting waterproofing solutions for their plaza decks. We use this experience to help many commercial businesses in the Miami region. We are experts in designing and maintaining durable waterproof plaza decks. A-1 is fully licensed by the state of Florida. We are also certified by multiple high profile roofing manufacturers. We are a member of the National Roofing Contractors Association (NRCA). Working with the right contractor guarantees quality performance and years of low-cost maintenance. Explore our services at A-1 Property Services. You can also call us at (305) 547-8355 to learn more about how we can help with your commercial plaza deck. We give free estimates and are happy to answer your questions about roofing or waterproofing.